I was cleaning up my computer and rearranging some files when I came across one of my favorite photos. I just thought it was so unique. First, you don’t see a bike with a sidecar too often – at least I don’t. 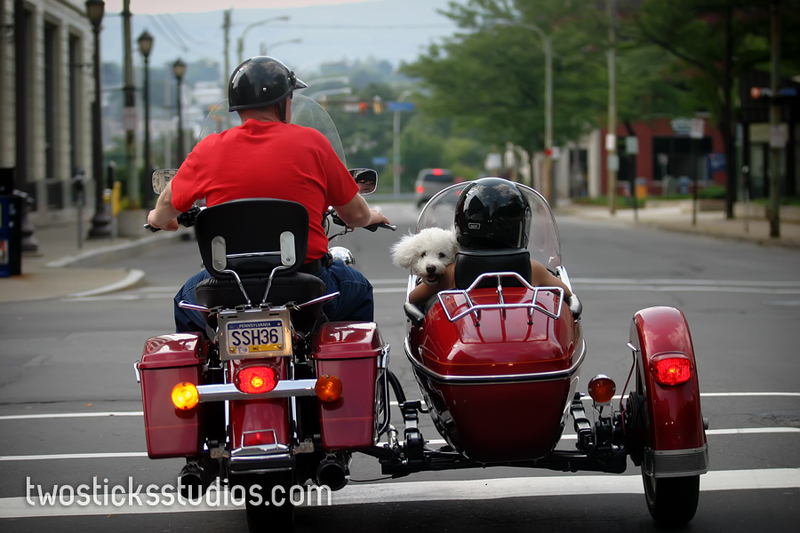 Second, how often do you see a dog riding in a motorcycle. To top it off, the dog seemed intent on mugging for the camera. Any time I am driving, I keep the camera on the seat next to me. You never know what you are going to see. Just as a disclaimer, don’t shoot while you are driving. It’s even worse than texting while driving, which I can personally attest is really dangerous as well. I’ve since reformed. In this case we were stopped at a light in downtown Scranton right near The Times Building.